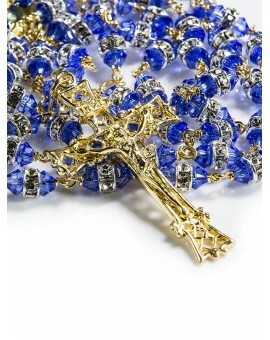 Precious Rosaries There are 109 products. 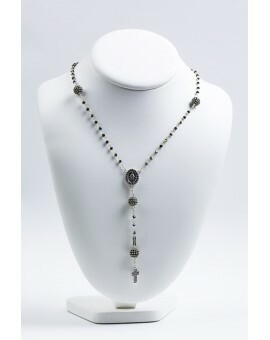 Exclusive Filigree Rosary made entirely in 925 Sterling Silver. 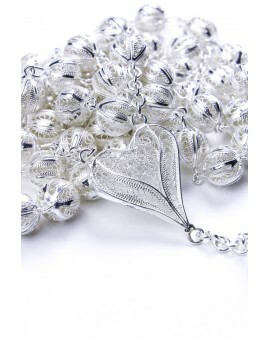 The Crucifix, the Heart shaped Center and the Beads are made with the Filigree tecnique, a rare jewellery hand work, made with tiny Sterling Silver wires, soldered together to compose delicate figures. 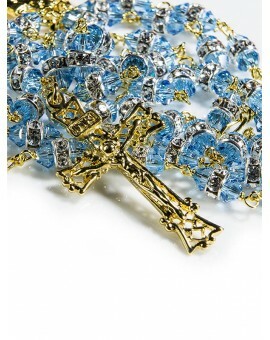 Rosary belonging to the prestigious Gratia Plena series. 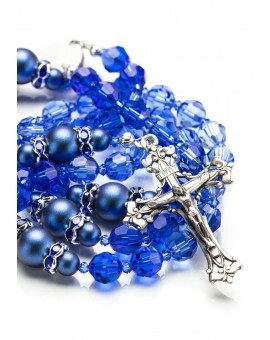 Designed by Italian stylists, with the best raw materials, they are precious and elegant Rosaries. 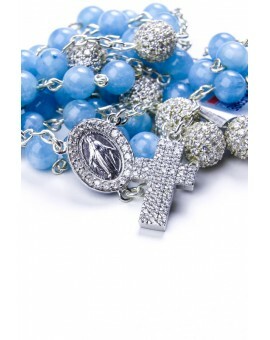 The exclusive Center, in solid Sterling Silver 925, represents the Ferruzzi Virgin Mary. 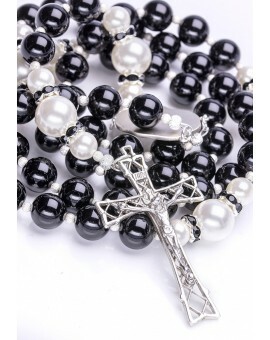 Rosaries to be handed down as unique pieces. 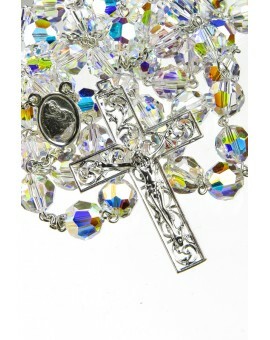 Exclusive Rosary entirely made in Swarovski Crystals. The design Crucifix is wonderful under any light. 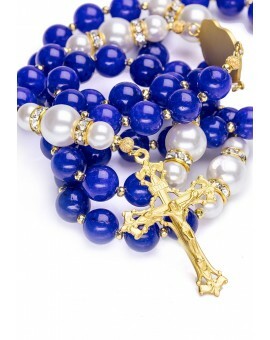 The Center, in solid Sterling Silver 925 Gold Plated 24kt, represents the Ferruzzi Virgin Mary. 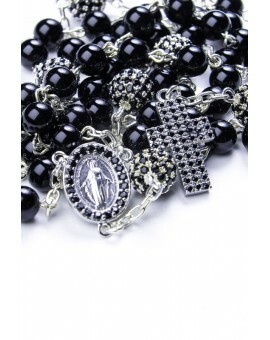 Finest jewellery Rosary made in sterling silver. 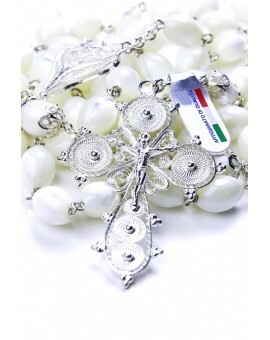 Exclusive Crucifix and Hearth shaped Center in Silver Filigree. 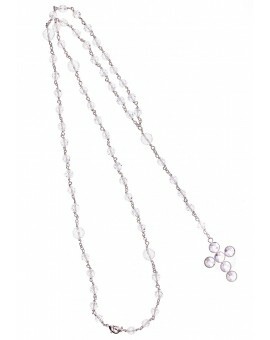 All the oval Beads have little cups in Sterling Silver. 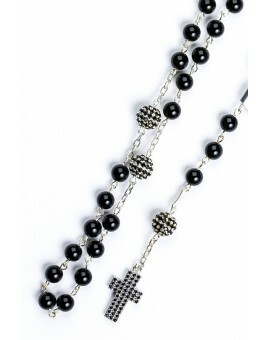 Finest jewellery Rosary made in sterling silver. 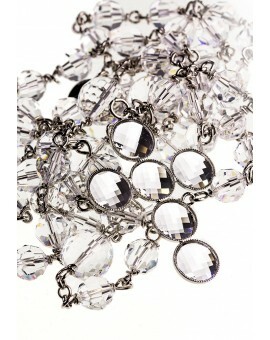 Exclusive Paters design with strass rings around Swarovski Crystal beads. 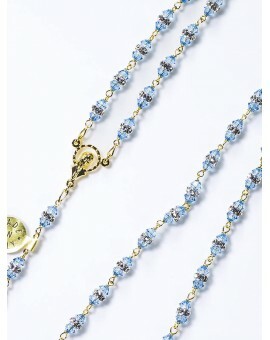 The beads are in Swarovski Crystal. 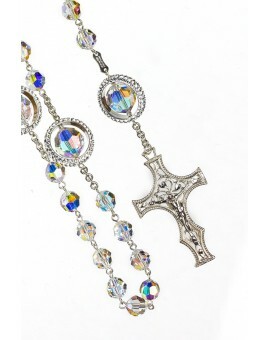 The Crucifix has a beautiful ancient design. 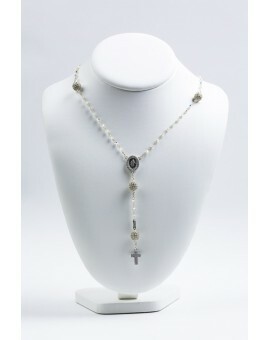 Exclusive Rosary entirely in 925 Sterling Silver and Mother of Pearl. 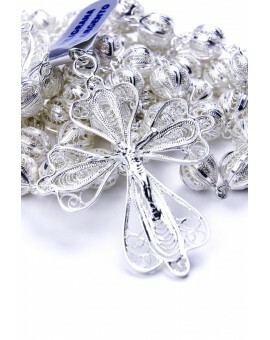 The Crucifix and the Heart shaped Center are made with the Filigree tecnique, a rare jewellery hand work, made with tiny Sterling Silver wires, soldered together to compose delicate figures. 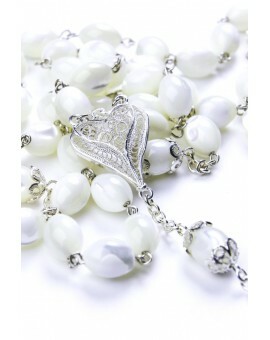 The Oval Beads are made up of highest quality Mother of Pearl. 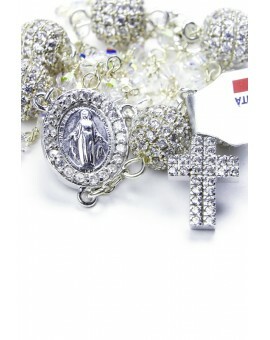 The Crucifix and the Miraculous Medal center are surrounded with Zircons, a brilliant gemstone similar to the diamond. 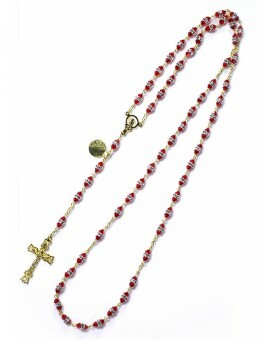 This Rosary is made entirely in certified sterling silver 925, 18 Kt gold plated, with Red Coral 6 mm beads. 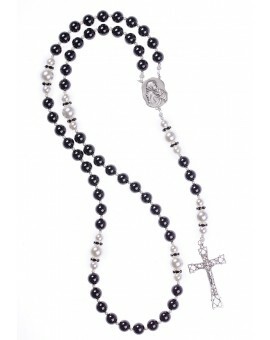 Finest jewellery Rosary entirely made in sterling silver 925. 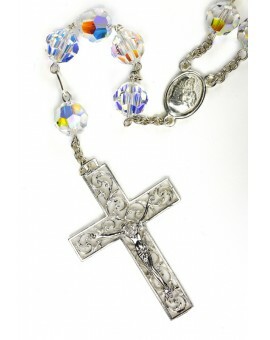 All the beads are in Clear Swarovski Crystal Rosary. 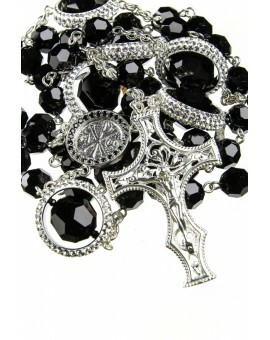 The sterling Silver Renaissance Crucifix has the beautiful detail of ancient decorations. 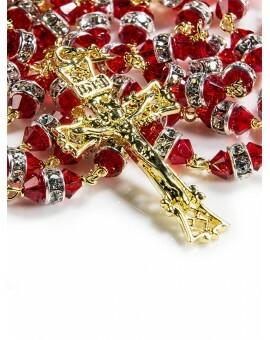 This Rosary is made entirely in certified sterling silver 925, with Red Swarovski Crystal beads. 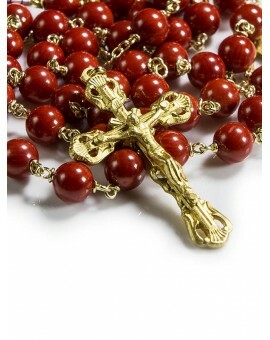 The beads are made with 3 crystals: 2 Granata red and 1 white. 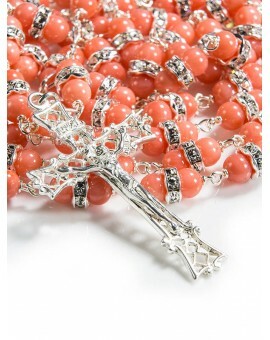 This Rosary is made entirely in certified sterling silver 925, with 4mm Rose Coral beads coupled with a Strass little ring in every bead. 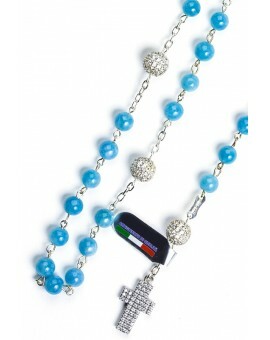 This Rosary is made entirely in certified sterling silver 925, with Light Blue Swarovski Crystal beads. 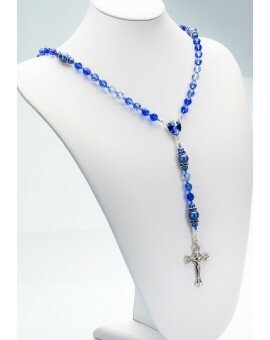 This Rosary is made entirely in certified sterling silver 925, with Blue Swarovski Crystal beads. 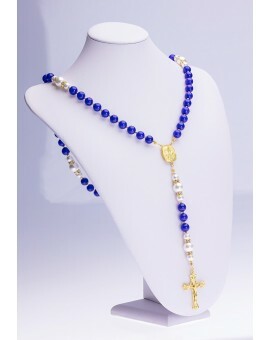 The beads are made with 3 crystals: 2 Blue and 1 white. 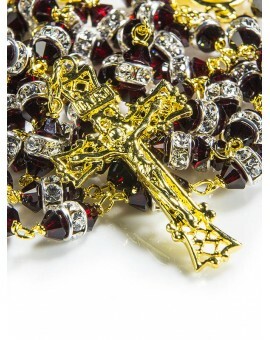 This Rosary is made entirely in certified sterling silver 925, with Granata Red Swarovski Crystal beads. 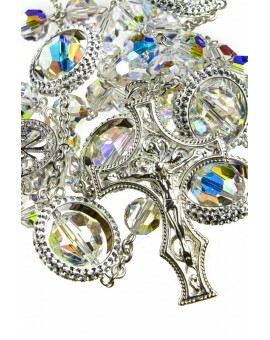 It is entirely made in certified 925 Sterling SIlver with Swarovski Crystals an strass beads. 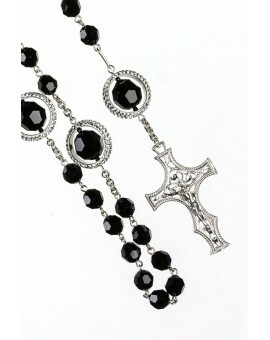 Rosaries to be handed down as unique pieces: the Crucifix is entirely made in Sterling Silver 925, with rich details.